We are offering Plastic Crystal Bowl to our clients. We offer an exclusive range of Crystal Bowl. Supported ourselves with proficient amenities, we are readily instrumental in providing an inclusive variety of Crystal Bowl. Features :A. Competitive Prices help you get new clients, High Qualityproducts help you maintain old clients. 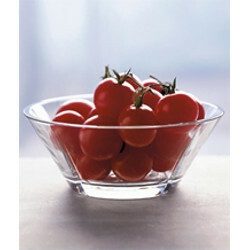 We are the leading manufacturer, exporter and supplier of superior quality in Crystal Agate Bowl. These products are highly appreciated for features like high durability, superior performance, longer service life, etc. This product are availble in all stones. 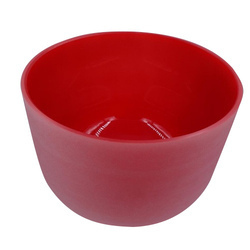 We have gained recognition as an eminent enterprise, devotedly engaged in providing Crystal Bowl, which is available with us in several sizes and designs. These stunning crystal glass masterpieces are extensively used for serving, fruit punches, snacks, puddings, desserts, yogurt, raita & lot many items. Besides it's utility, it is a brilliant gift idea. Available from 500 ml to 4500 ml sizes.